JALLEN – Allen McDonald Swartz LLP. Jennifer has over 17 years of experience advising clients in the areas of corporate finance, mergers and acquisitions and private equity. In addition, Jennifer acts for a variety of clients from entrepreneurs and start-ups to established domestic and international companies on day to day operational matters such as corporate structuring, establishing Canadian businesses and advising on federal and provincial privacy and anti-spam legislation. Jennifer advises not-for-profit institutions, private companies, founders and financial institutions in connection with the formation of businesses, corporate restructuring, day to day commercial needs, venture capital, private equity and bank financings (on both the borrower and lender/investor side) and the purchase and sale of businesses. In other words, Jennifer advises clients from formation to exit. In connection with day to day commercial matters, she has extensive experience advising on a wide range of business agreements, including shareholder agreements, partnership agreements, consulting and services agreements, non-disclosure agreements and distribution agreements. Jennifer’s goal is to get to know her clients’ businesses, objectives and priorities so that she can add value by providing practical, results-oriented advice tailored to each client’s needs. This is why she became a lawyer – to help her clients achieve their immediate and long-term goals. 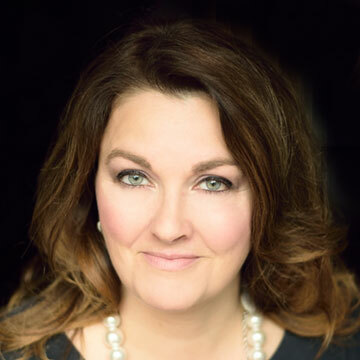 Prior to forming Allen McDonald Swartz in 2015, Jennifer practised in top-tier Bay Street firms, where she started her career as a summer student in 2000. Prior to becoming a lawyer, Jennifer spent several years in the personal financial services industry, dispensing advice regarding domestic and international investment opportunities. • Acted for the founder of a company which assists leading Canadian companies with IT management consulting services in connection with its sale to a U.S. purchaser for a purchase price of $5 million. • Acted for a non-profit company in connection with the acquisition of a for-profit health care company. • Acted as local Canadian counsel for a German venture capital company in connection with its investment in a Canadian technology company. • Acted for the founders of a clothing design and manufacturing company in connection with the sale of a 50% stake in the company to a strategic private equity investor. • Advised several founders with respect to their exits from the companies they founded. • Acted for the founder of a food manufacturing business in connection with the sale of the business to Ace Bakery. • Acted for the founder of a technology company in connection with the strategic sale of the business to a much larger U.S. company. • Advised a US based provider of complete web video solutions and technology for corporations, media organizations, and government agencies, in connection with its acquisition by a listed US based provider of software products and solutions for distributing video content through internet websites and mobile devices. • Counseled a client in establishing a Solar Energy Operator with equity investments of $118,500,000 by a Canadian private wealth fund, a prominent Canadian conglomerate, a private equity fund and its private clients. Acted as corporate counsel to the Solar Energy Operator after its creation. • Assisted a global designer and manufacturer of space hardware and its subsidiary, with an equity investment in the subsidiary by a major Madrid-based satellite operator and service provider. The transaction was completed by way conversion of debt, the roll-in of certain assets, and the investment of cash. The aggregate amount invested was $55,555,555. • Assisted in the acquisition by two prominent insurance companies of all of the units of a public real estate investment trust and a post-closing internal reorganization of the entities. The purchase price was approximately $265 million and the enterprise value was approximately $410 million. The transaction was the first acquisition of a REIT by a Canadian life insurance company. • Assisted a US company in connection with its purchase of a company involved in designing and manufacturing oil purification equipment. • Represented several Canadian companies and foreign multinationals in connection with numerous private share and asset purchase transactions, acting on behalf of both vendors and purchasers. • Successful completion of various minor private placements involving Canadian businesses. • Coordinated the incorporation, continuance and amalgamation of various Canadian private companies. • Advised several clients in connection with tax reorganizations. • Acted for a Schedule II bank with respect to several commercial loans ranging from $1,000,000 to $25,000,000. • Acted as Canadian counsel to a U.S. national bank and a private equity fund in connection with a loan to a group of companies that specializes in the repair and overhaul of aircraft brakes, wheel assemblies, tire replacements, landing gear and other mechanical components. • Acted for Canada’s leading independent manager of investment grade, senior secured loans with respect to a several loans in amounts ranging from $5 million to $30 million – to a prominent restaurant group, a logistics business, several manufacturers and technology companies. • Acted for Integrated Private Debt Fund IV LP in connection with a $29,000,000 senior secured term loan to fund a portion of the acquisition by Radiant Logistics, Inc. of Wheels Group Inc.
• Acted for a facility maintenance company in connection with a $20-million credit facility with a Schedule II bank and a syndicate of lenders. • Provided corporate advice to the Solar Energy Operator in a financing in which the borrower entered into a credit agreement with a syndicate of lenders, pursuant to which the lenders agreed to establish a $58 million senior secured loan facility in favour of the borrower to finance the acquisition, development and operation of approximately 95 solar photovoltaic (PV) rooftop facilities. • Acted as Canadian counsel to a global retailer in connection with several re-financings, the last of which involved a €200 million asset-based revolver and a $60 million senior tranche B facility. • Researching and advising several clients on privacy law compliance. 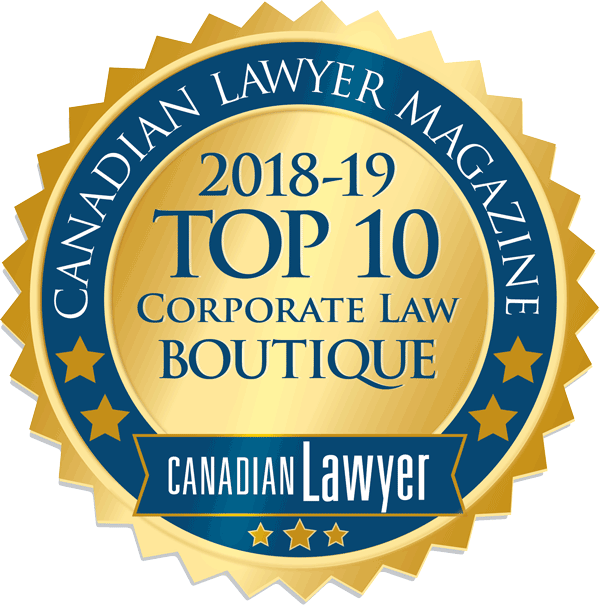 • Researching and advising on several issues relating to non-share charitable corporations, including with respect to compliance with the Canada Not-For-Profit Corporations Act, the Corporations Act(Ontario) and the Ontario Not-For-Profit Corporations Act. • Advising clients with respect to day-to-day general corporate and legal matters, including the negotiation and drafting of privacy policies, service agreements, shareholder agreements, partnership agreements, consulting agreements, indemnity agreements, set-off agreements. Jenn, who is originally from the Maritimes, lives in the Beach(es) with her husband David and her daughter Katherine. Jenn has enjoyed making connections in the community since moving to the Beach(es) in 2012, in part through volunteering at an overnight shelter for the Out of the Cold program, fostering dogs through Save Our Scruff Rehome & Rescue and her involvement at Balmy Beach Community School. Jenn enjoys downhill skiing in the winter and cycling, gardening and taking advantage of the beach in the summer. Jenn has always been an animal lover, and can often be seen in the company of the family dogs, Lula and Gracie, as well as one or two foster dogs. In addition, Jenn has a real passion for real estate. She has applied her project management skills to a number of home renovations and redecorating projects over the years, including the renovation of two downtown condominiums, a complete remodel of her home and a condominium in Collingwood. Jenn loves to travel and looks forward to seeing more of the world in the very near future.